here in Bulgaria is such a winter! You feel just like it is Christmas… but without Christmas. 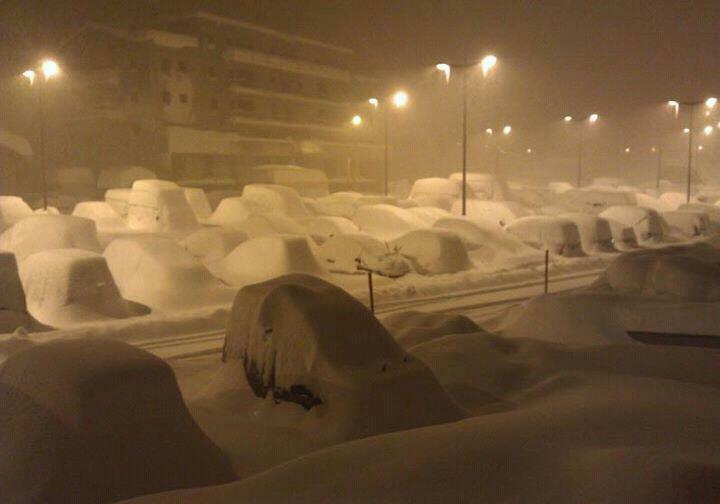 This photo is taken this morning in a southeast part of Sofia. Unbelievable and even a little scary. Like a shot of “The day after tomorrow” movie. Two of my favourite characters of two of my favourite TV shows together on one picture! Whan I saw this photo of Brooke Davis (Sophia Bush) from One Tree Hill and Chuck Bass (Ed Westwick) from Gossip girl it made me feel… well at first confused but after that smiled. They would be great couple so that I propose them to become one. Or at least to play together in some show or movie. New Versace Spring/Summer 2012 campaign. Photos as good as the clothes. Really like this campaign! It’s obvious that such amazing dresses just couldn’t miss the Golden Globe Awards where we spoted Nicol Kidman at gold and cream Atelier Versace dress. Love these floral Paul Smith skirt and shirt. Everytime we see it we feel sunshine, finesse, flavour of Mediterranean food and immediately fell in summer mood! Another excellent black dress from Dolce&Gabanna. Spots, dots or stars… it doesn’t matter! Whatever we choose we will be in the spotlight.